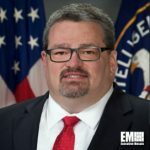 John Edwards serves as chief information officer of the CIA, where he oversees the agency’s digital transformation and digital mission architecture optimization, and as the director of the Information Technology Enterprise. Edwards has more than 20 years worth of experience with the intelligence community including almost 15 years at the CIA and stints under advisory and leadership roles at FOUR12, Accenture, Agilex Technologies and Blackbird Technologies. He also has several years worth of overseas technical operations and engineering support experience with the CIA where he assisted the implementation of the agency’s operational and strategic priorities. In an interview with ExecutiveBiz in 2009, Edwards noted that recruitment at the speed of need is one of the biggest challenges that businesses encounter. “The biggest challenge in the intelligence, defense, and security space is finding the right people, with the right clearances,” he said. The intelligence-vet also holds a bachelor’s degree in electrical and electronics engineering from ITT Technical Institute – Indianapolis.